Hawaii Ocean Plaza will be developed by Hawaii City Plaza, LP and will be located at 1362 Kapiolani Boulevard Honolulu, HI 96814 . 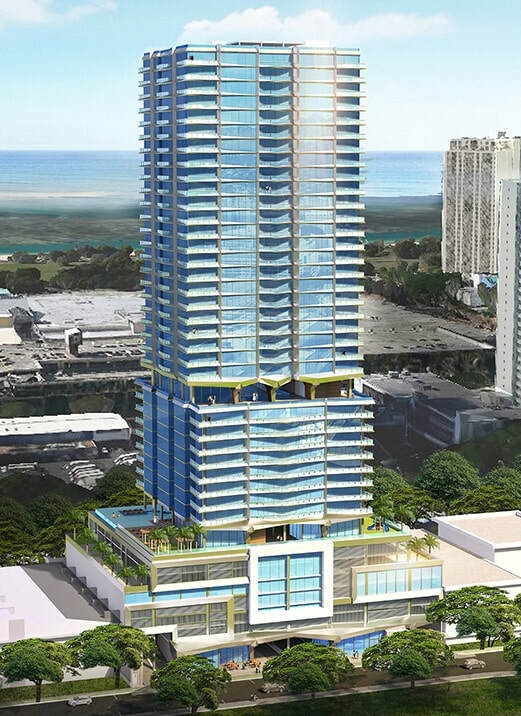 Hawaii Ocean Plaza will have 407 units containing 200 residential units and 207 hotel units. There will be a lobby level for both the condominium and the hotel; along with restaurants, retail stores, bars, coffee shops, etc. Their amenities will include a pool, jacuzzi, and open-air recreational spaces (just to name a few). Sign up today to be kept up-to-date!